Talking with Angels is the transcription of a spiritual instruction received by four Hungarian friends during the Second World War. During seventeen months, from June 1943 to November 1944, when the Nazis invaded their country, and from April 1944 deported the Jews en masse, Hanna Dallos transmitted through 88 conversations voices which, she said, did not emanate from her. These voices were retranscribed word by word by Gitta Mallasz and Lili Strausz. Three of them, who were Jews, perished during deportation. The only survivor, Gitta Mallasz, who took refuge in France in 1960, applied herself to the French translation of these conversations. The first edition of these was published in 1976, followed by a complete second edition in 1990. 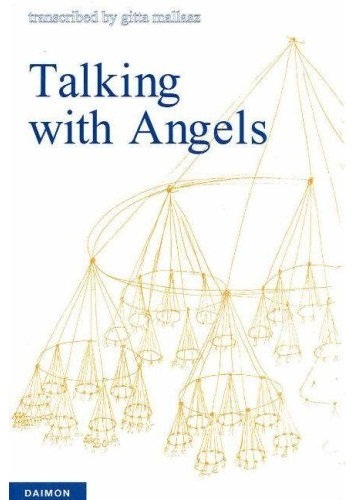 This site endeavours to present to the public unpublished or little known documents about Talking with Angels and to shed light on the origin of this exceptional spiritual instruction, which was revealed in Hungarian, yet first published in French before being published in the original language and in 19 other languages. Equally it also collects the testimony of those who were chosen to receive it, either directly or indirectly. The quartet: Hanna Dallos, the messenger, an artist and a great pedagogue, who was also endowed with an exceptional intuition; Joseph Kreutzer, her husband, a designer; Gitta Mallasz who made friends with Hanna at the Academy of Decorative Arts in Budapest and worked with them in their atelier; lastly Lili Strausz who taught relaxation and put her knowledge of physical therapy to support Gitta, the national swimming champion. The witnesses: Three women who worked at the military factory Katalin, managed by Gitta, who had the privilege to attend some of the last conversations: Eva Dános who was deported together with Hanna and Lili, and bore witness in a shattering book to her companions’ death in a cattle car; Ágnes Péter, who became Gitta’s assistant after the war and was involved later in the first Hungarian publication; and finally Erzsébet Rusznyák of whom little is known. The ambition of the founders of this site is to collect the largest number of documents before they vanish. A certain number of them have already been identified, others remain to be discovered. It is a difficult task: no direct witness remains in this world. The documents were published here with the consent of the authors or those who possess the legal rights. They cannot be reused without their authorization.